"Let's say, for example, a retailer wants to do a merchandising promotion of the top 50 bestselling Smashwords series that have a free series starter. Without the series metadata, it would be nearly impossible for Smashwords or our retailer to accurately identify which books are in a series, and in which order." Authors who distribute through Smashwords have more time to write because they’re spending less time managing multiple upload platforms. We give our authors single-upload access to a broad and growing network of sales outlets, centralized metadata management and book updates, and access to exclusive sales and merchandising tools. If we can give you more time to write and empower you with professional-grade tools that give you incremental advantage, over the long run you'll out-perform other authors. Brilliant news, Mark, well done and thanks! Yes I've noticed faster uploads and much better metadata outcomes. The Smashwords staff is awesome. Now if Apple would only step up their sales reporting and payments. They're stuck in the 50's as far as that goes--and they weren't even around then. Are they going to ever develop a book ranking system? Right now you have to guess by seeing how high or low your books are on the listing page. Hi Charles, Apple pays us monthly and we pay quarterly, so any delay there is on Smashwords (and we always pay on time!). Same thing with sales reporting. But stay tuned. Faster Apple sales reporting is just around the corner! My first ever self-publishing experience was through Smashwords, and I've never regretted taking that step. The way that the Smashwords team opens roads and builds bridges is amazing, and I'm here to stay and walk all those roads and bridges. I noticed how much faster Premium Status can be had too compared to the past. Recently I changed some back matter information for all of my books and re-uploaded to SW. Was amazed that they all went Premium that same day and had shipped to retailers within another day. Fantastic! Mark, thank you for all your hard work. It's certainly gratifying to see Smashwords charging ahead into the future. You are an inspiration to all of us. Like Kristen Ashley, I had written for decades without any luck with the publishing establishment. And then Smashwords came along. My novels haven't sold as well as hers, but Novelsmithing and Story Alchemy are now being used as textbooks to both young adults and adults in the Seattle area, and no telling where else that I don't even know about. For a while I taught novel writing at a university, but now that I'm retired, I'm making even more of a difference by self publishing, and Smashwords is a big part of that. I was amazed at how fast my latest book loaded at Apple. Thanks! Now if only we could get faster reporting and sales ranking so I can figure out how to better target advertising traffic towards them. Amazon built their empire upon the backs of Indie authors paying out of their own pockets to build Amazon's site. We just need a little encouragement and information to know what works, which Amazon gives us. If Apple did the same, we'd do the rest. 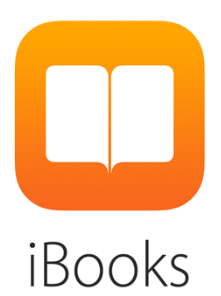 All we need to know is where we stand, in close to real-time, and we'll knock ourselves out to promote iBooks. Thanks for this information, Mark, and for the incremental improvements at Smashwords. I published my first book in 2010 and 3 others in the series in 2012. Recently I upgraded my cover images. My books are finally beginning to sell, which is a real thrill. However, I notice that the vast majority of my sales are with B&N and almost none with Apple. I wonder if that's the case with other authors and what the reason might be. If you have any thoughts on this, I would certainly appreciate seeing them in the Smashwords blog. thanks again. You write "I want every writer in the world to someday choose to publish and distribute their book with Smashwords." Well, that won't happen. Smashwords is completely focused at the English-speaking book market. And does little to encourage the retail partners to consider and promote books in other languages. Flipkart for example: though it has my German PRINT books, it didn't take my German e-books, because Smashwords made the contract only for English e-books. I know quite a lot of German authors who walked away from Smashwords or have left just their first books there and take the new ones to other distributors. Yet there would be great potential: The flatrate thing probably has a future. But those platforms also favor the English books. Thus there is no motivation for foreign language authors to have their books there; thus they don't feel as if they needed Smashwords to access the flatrate retailers. Mark, youare now going to distribute to txtr. Really great, because it could help in the European non-English markets - but we're all most probably going to break the law, as long as we can't set the Euro price, because Germany, France, Italy, Spain require fixed book prices and the official interpretation of those laws consider e-books to be books. Therefore, not being able to control the price is a major reason why authors walk away from Smashwords. Or don't dare to use all distribution channels. Annemarie, I don't get where you're coming from re: Smashwords authors not controlling pricing. Um, yeah, we do. And Apple has been in those countries you cite since 2010 and we've never had a problem with the Smashwords catalog going to all those. Amazon also has some dedicated foreign stores and authors control the price...but only to a point, because of currency conversion and taxes. I can input 2.99 Euros on a dashboard, but that's not the price the native shopper sees on any given day and probably never will be. Mark, you continue to amaze us. Like you said, getting Smashwords authors noticed in other book markets leave more time for the author to write rather than worry about marketing. Thanks for your continued endeavors! We appreciate it! Submitted for author William Wayne Dicksion. Thanks Mark & the team. I enjoy reading your updates and very excited that my Books have been embraced by iBooks through your continued hard work. I look forward to a very long relationship with the Smashwords team.